Come and meet our recruiters to learn about career opportunities with the SPVM. 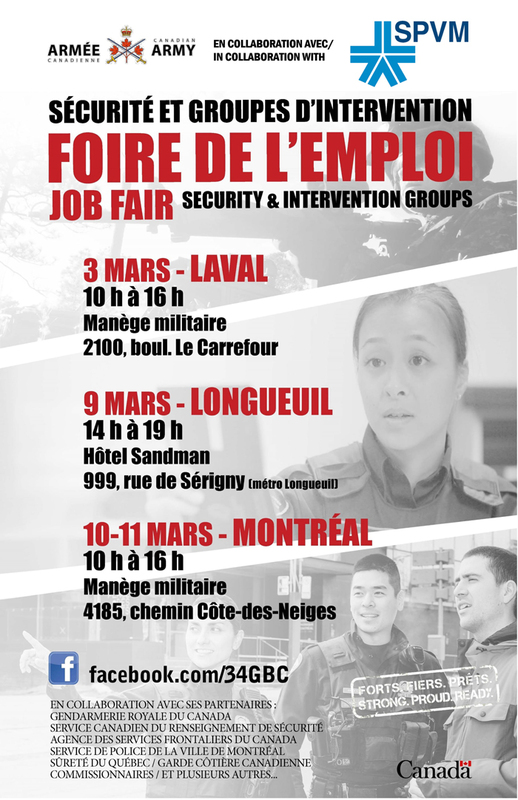 We will be present at the job fair on March 3rd in Laval, March 9th in Longueuil and March 10th and 11th in Montreal. Several other law enforcement agencies will also be there. Admission is free.